In late August 2016, a deep rift widened and an iceberg heaved away from the Porcupine Glacier in northern British Columbia. 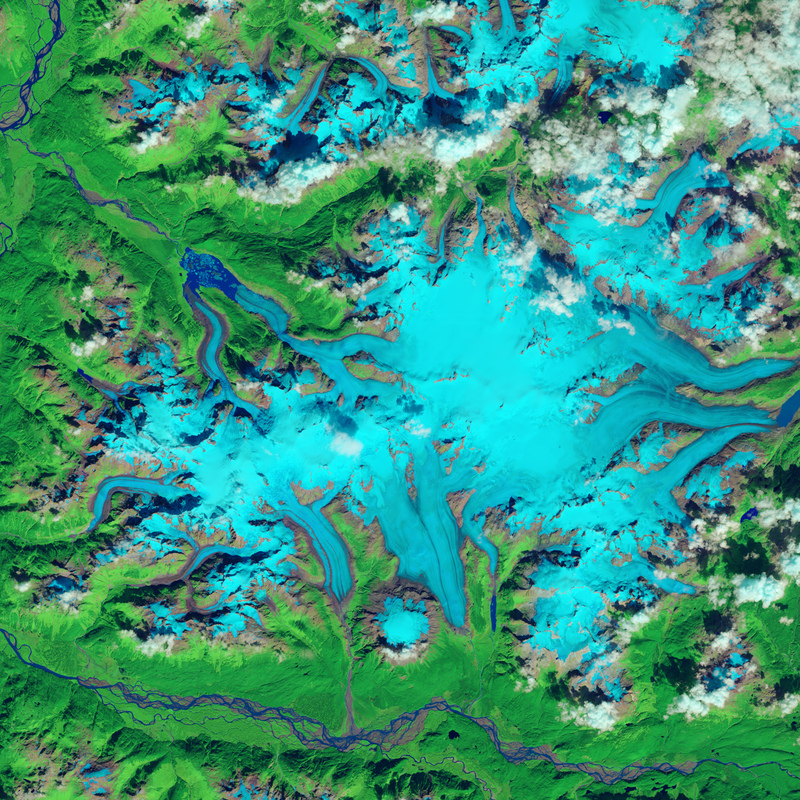 Glaciologist Mauri Pelto, who has been analyzing satellite imagery of glaciers since the 1980s, called it “the biggest calving event in North America” that he has ever seen. Glaciers constantly change due to natural freezing and thawing processes, and they often calve small icebergs. 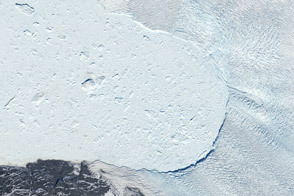 The breakup at Porcupine is the largest single iceberg (by area) to calve from a North American glacier in recent decades, said Pelto, a professor of environmental science at Nichols College. 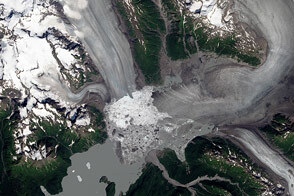 Columbia Glacier in Alaska accounts for more calved ice by volume. 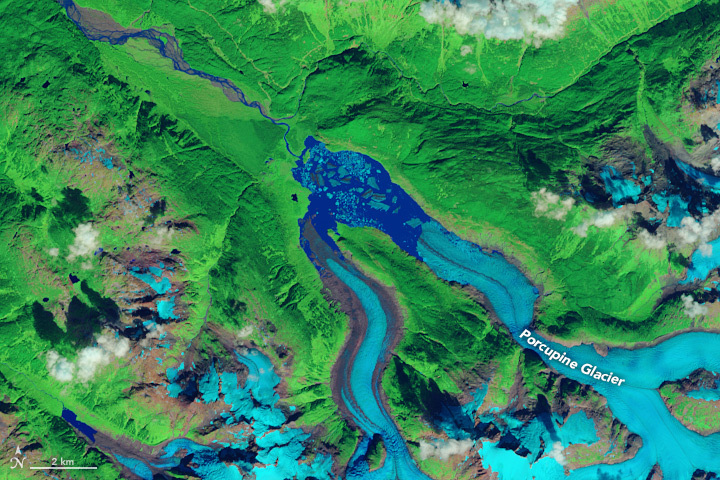 The Landsat 8 satellite passed over Porcupine Glacier on August 27, 2016, and observed the large, new iceberg (top). 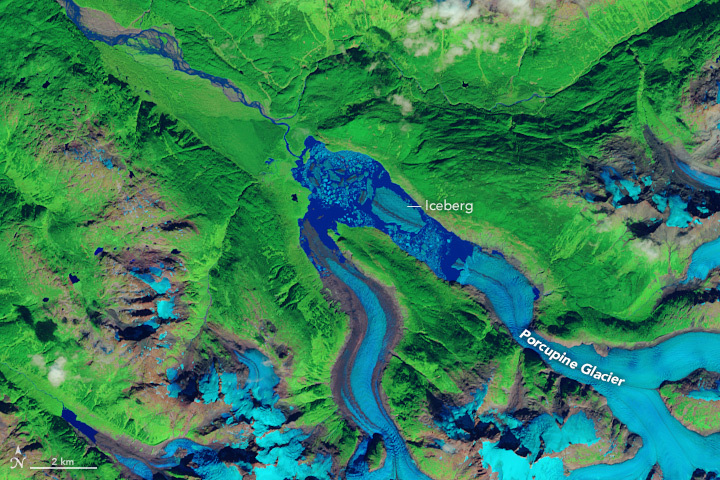 The second image shows the glacier as it appeared to Landsat 8 on August 27, 2015. 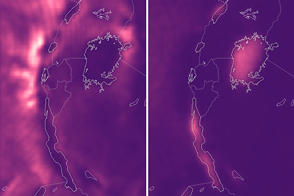 The false-color images show the landscape in shortwave infrared bands at 30-meter resolution, a view that provides better distinction between ice, snow, and water. As glacial ice thins, it melts from above and below, becoming more susceptible to rifts; eventually icebergs break off along those cracks. In the case of Porcupine, the iceberg broke off from a floating “ice tongue.” Such ice formations float on a small amount of water, lacking the structural support of a grounded terminus tongue, which is held up by the earth and rock on the seafloor or riverbed beneath it. The iceberg from Porcupine comes from an ice tongue measuring 0.74 square miles (1.2 square kilometers). Tongues of this size typically occur in massive iced-over areas like the Larsen Ice Shelf, but are rare in relatively small Alaskan glaciers. 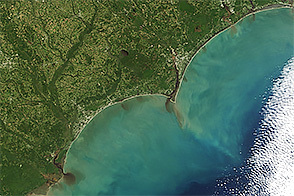 NASA Earth Observatory images by Jesse Allen, using Landsat data from the U.S. Geological Survey. Caption by Pola Lem, based on AGU news sources. In August 2016, an iceberg heaved away from the Porcupine Glacier in northern British Columbia. It could be the biggest calving event in North America since satellite observations began. AGU Blogosphere—From a Glacier’s Perspective (2016 September 22) Porcupine Glacier, BC 1.2km2 Calving Event Marks Rapid Retreat. Accessed October 8, 2016. 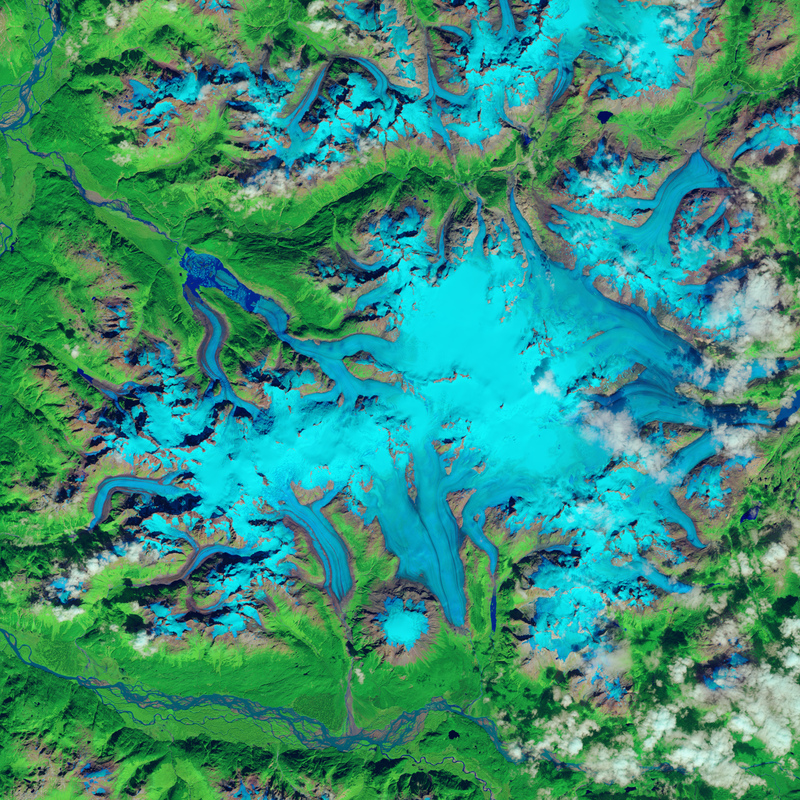 NASA Earth Observatory (2002) Ice Loss in Glacier National Park.